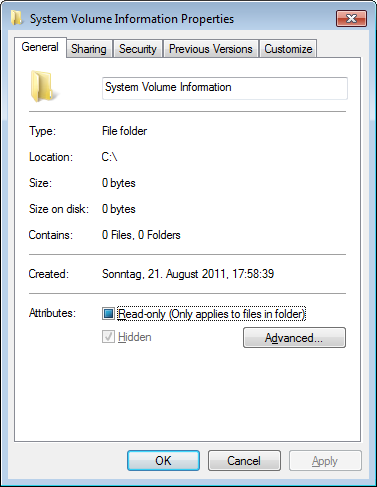 Due to the strict permissions on the System Volume Information directory finding out its true size is not easy. 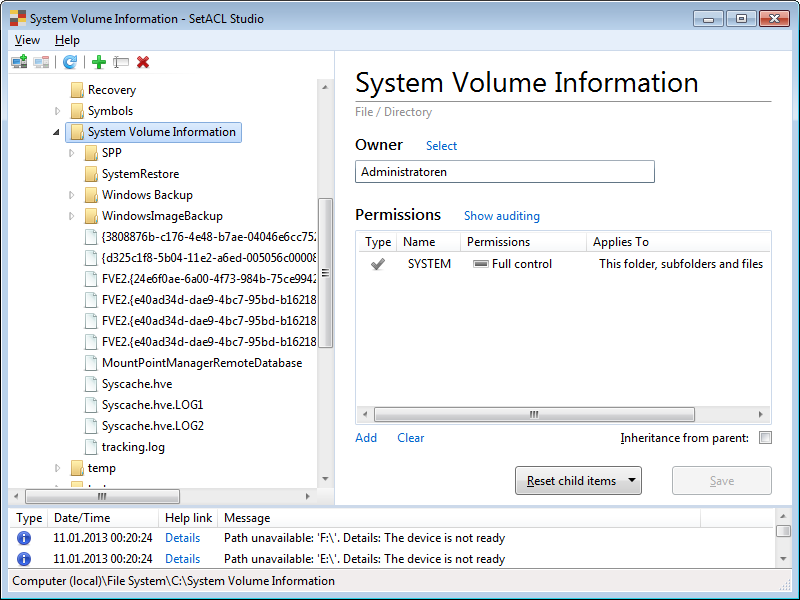 Unfortunately, SetACL Studio does not display the directory size and I do not know any other tool that can display directory sizes while bypassing security. Except for one tool that comes with Windows and is very well known. Alas not for calculating the size of directories, but for copying them. Yes, I am talking about robocopy. So the size of my System Volume Information is 1.141 GB. Obviously we need SeRestorePrivilege and Backup API’s so the only other tool that comes with Windows I can think of is Windows Backup. I use TreeSizeFree, running with elevated rights. It can show the usage. André, TreeSizeFree is my go-to software for checking folder sizes but I found it would only work if I assigned read permissions to myself on the SysVol directory, even if I run it elevated. Use SwiftSearch. Available on Sourceforge. Type C:\System Volume Information\* and hit SEARCH. It will list the whole content with “real” size information.